A massive thank you to all of the staff that have helped me get over my back injury. I now no longer need to wear my orthotics, I walk and run so much better than before. My posture has completely changed. It is amazing how small changes make such an enormous difference to my overall wellbeing. I never thought I would be able to run again and now thanks to Sally and Suzanne I am starting to run. I eventually contacted a GP about a troublesome knee. An X-ray gave no clues about the problem so it was suggested physiotherapy might help. Fortunately, Synergy were recommended. Sarah quickly diagnosed cartilage problems and, with my agreement, contacted my GP to arrange further tests. Pending the results I was given exercises to strengthen the muscles around the knee. Following an MRI scan and a keyhole surgery to sort out a torn cartilage I am now pain free and well on the road to recovery. Next time I will start with Synergy and save myself some time! When I first visited Synergy I was feeling very sorry for myself and worried that I would never get back to my normal fitness level. I was looking forward to expert help, but also a little sceptical about what treatment I would receive. I needn’t have worried. From the start I was made to feel as if I was in good hands. The focus was on what goals I wanted to achieve and how the physio team could support me. I feel that the therapists understood me and were able to identify the best approach for me personally. For example, we all try to do our exercises, but to motivate me I was set a target level to reach rather than to do a set number of exercises. I was never made to feel silly or inadequate and the rehab exercises were fun. The video analysis of my running was interesting and useful. I was referred to Synergy to see whether their treatment could remove the need for knee surgery. They uncovered a deep seated problem and systematically set about treating it with an ever increasing workout of different muscle groups. They solved the problem and the treatment itself was a journey of exploration. Sarah has been a great help getting me back on my feet after a serious thigh strain back in September 2013 and in a position, with Andy’s able assistance, to complete the Brighton marathon in April 2014, and then after a subsequent calf strain, to run the Bournemouth marathon in October 2014 with no side effects. Their attention to detail, understanding my specific needs, and reviewing my running style to be less prone to injuries has helped and I am now training for Brighton and London Marathons in April 2015 with renewed confidence! Thank you for sorting out my hip and leg pain with Physio and Rehab. 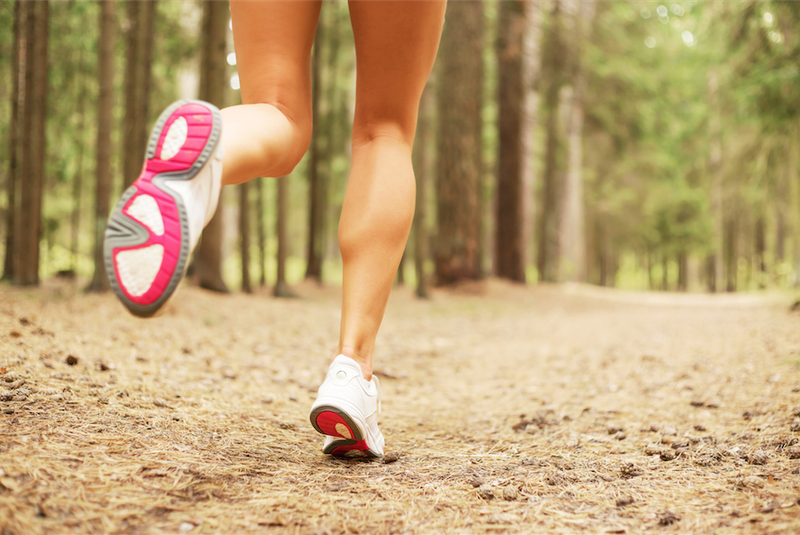 Feel younger and fitter and walk with a much better posture. Thank you Synergy you helping me to climb the stairs again. Sounds like a simple thing but it has made a big difference to my life. I have had 2 hip replacements and I live in a town house with two flights of stairs and for the last 12 months I have been going up one step at a time. My options were a stair lift or move house, but then a friend recommended Synergy. After 3 sessions I can climb the stairs with alternate feet. I still need to hold the hand rail, but I can see it will not be long before I can go up stairs without holding the rail. My husband says I look more upright and walk better. I feel more confident and can take longer strides instead of little mincing steps. Many thanks Synergy. I was suffering with pains in my knees whilst walking and taking part in PE at school. My GP kept telling my mum it was growing pains. She took me to Synergy as she has visited there herself. I saw a lady called Sarah, she did various tests to see if she could find out what was wrong. Muscles were tight and she discovered I rotated my knees. She referred me to Andy, who over the course of a few months gave me exercises and homework to complete. All the exercises were explained to me and tried out in my sessions. They were straight forward and I was able to do them in my own house. Andy also helped me improve my running technique to avoid any further pain, possible injury and the rotation. Post op knee rehabilitation done by Sarah and Suzanne. They are a friendly, competent and accommodating team and as a GP, I would have no hesitation in recommending them to my patients. I broke four metatarsals in my right foot in my early twenties and not long afterwards tore part of the tendon at the top of my right leg and had no physio or rehabilitation after either accident. As a result, over several years of trying to stay active, I developed an unbalanced gait to compensate for the pain in my foot and leg, which contributed to an imbalance in the tendons in my right knee pulling my knee-cap out of alignment causing me excruciating and debilitating pain after only short distances cycling and which more or less completely prohibited me from running. I visited several physiotherapists in London without any significant improvement in the discomfort I felt in my knee and was eventually referred to a surgeon who recommended a series of cortisone injections with the possibility of surgery if that didn’t help. On the recommendation of a friend, I visited the folks at Synergy Physio before having any surgery and they completely turned things around for me. Sally was my first port of call and through a combination of massage, ultrasound treatment and constructing a rehabilitative physio program for me, she got me moving again and back out exercising. It wasn’t a miracle cure, just the most experienced physio I have ever visited, sharing a lifetime of knowledge with me to help me get back out running and cycling. Sally has a wonderfully compassionate, but no-nonsense manner and is a genuine credit to her profession. Over several years I increased the amount of running I was doing and have subsequently competed in more than a dozen ultramarathons (most recently in a 111km race across the Swiss Alps which included 8,400m of ascent and descent) and my first Iron Man triathlon in 2013. It really isn’t an exaggeration to say that none of this would have been possible had it not been for the rehabilitative treatment I received at Synergy. I cannot recommend their services highly enough. In January 2013, I sprained my back. I was unable to stand upright and could barely put one foot in front of the other. I called Synergy straight away as they were local and I had used them once previously. A couple of weeks later I was upright and mobile, albeit slow. After a few more weeks of treatment and rehab exercises I was able to return to bootcamp. I can’t thank Sally enough. I had never suffered injury before and it completely shattered my confidence. Sally helped me with both! 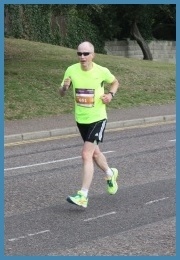 Synergy then offered me a running analysis, which I took them up on and found the information useful. I now return to Synergy every 6 weeks to see Andy for Sports massage. I now feel better, stronger and no longer worry about my back. 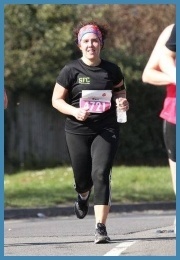 I’ve stayed injury free – I put my body through bootcamp and obstacle events. Great team of people. I’ve recommended all my friends and personally wouldn’t go anywhere else. 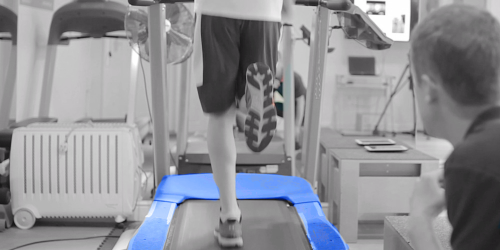 Synergy helped my son, Charlie (Age 12) to get back to top level running again after a nasty episode of Severs Disease. We were really impressed with how the physio and the running coach worked together to help Charlie regain his strength, agility and technique, as well as his confidence. Both Andy and Sarah were friendly and approachable, making Charlie feel very comfortable and helping him to understand the exercises he had to do and why it would help him recover. After six months of excellent treatment, Charlie made a full recovery and is now back to his best, running cross country in the muddiest races he can find up and down the country. I was referred to Synergy Physio by my consultant to help me get stronger as I have Hypermobility Syndrome. Andy was great as he taught me how to run properly which gave me lots of confidence and improved my football skills. I saw myself on video too! I had lots of exercises to do at home but that has helped me get stronger…..Sarah was lovely and always made me laugh even when I was in pain or getting frustrated with injuries, but I am very happy to say I have been signed off and I am a lot fitter/stronger……. I cannot thank Synergy Physio enough for all their help and hopefully I won’t be back there soon with another injury!! After several months of pain and a tendon release operation I had one goal, to get back into the gym and resume my workouts. With Sally’s physiotherapy and Michael’s rehabilitation work I finally went back to the gym this week, pain free! Thank you very much! Thanks to Sally and Suz my knee pain has now gone. It was really bad whenever I put weight on it, going upstairs was agony. In my mid 70’s, I feared it heralded a possible operation. Sally reassured me this was not the case and after 3 sessions, passed me on to Suz for some rehab. Suz was very professional in her approach and gave me some simple exercises, after observing very carefully the way I moved. I really enjoyed the 3 sessions I had with her and 3 months after I started treatment I look forward to continuing my gym membership, which, with her encouragement, I will now be able to carry on.